On cats and owls : On5. We make mobile games. Howdy, Friends! We missed talking to you a whole lot and it’s been a while since you had any news on what’s cooking in our kitchen. It’s been a really busy time for us, working on some very promising projects (yay! ), and hopefully we’ll be able to shed some light on them in the nearest future. This time around though, we’d like to introduce our fluffiest and furriest game out there – Catomic: Cats Go Into Deep Space As Owls Build Atomic Power Plants! Do you like cats? We know we do! And the rumor goes, that they come from outer space and actually are aliens, who control human kind with their utter cuteness. Kittens in “Catomic” are born with a bold dream: to conquer the deep space (and perhaps, return to where they really came from). But many obstacles await on their path! We presented the demo of this addictive match-3 game to our fans in Canada, Australia, New Zealand, Netherlands and South Korea and with their feedback we are making the game even better! 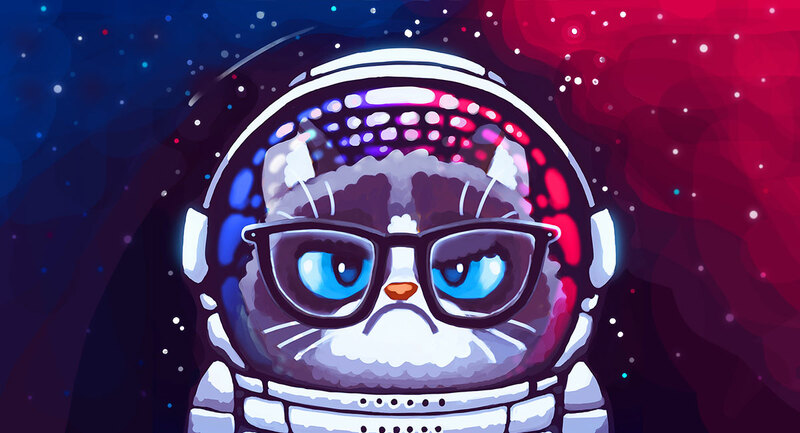 If you would also like to test the game via Apple’s TestFlight, feel free to send your email to catomic@on-5.com and we’ll give you an invitation! We plan to launch “Catomic” worldwide soon. Stay tuned to find out more on our upcoming projects! Oh, hi Mark! Thanks for staying with us! Hopefully we’ll be able to tell more about new projects soon. We appreciate the good words – glad you liked the game!